Teach Your Dog To Like Praise. 4. If your dog did not like any of the forms of verbal and physical praise that you experimented with, you can teach the dog to like praise. Here is how you do it. 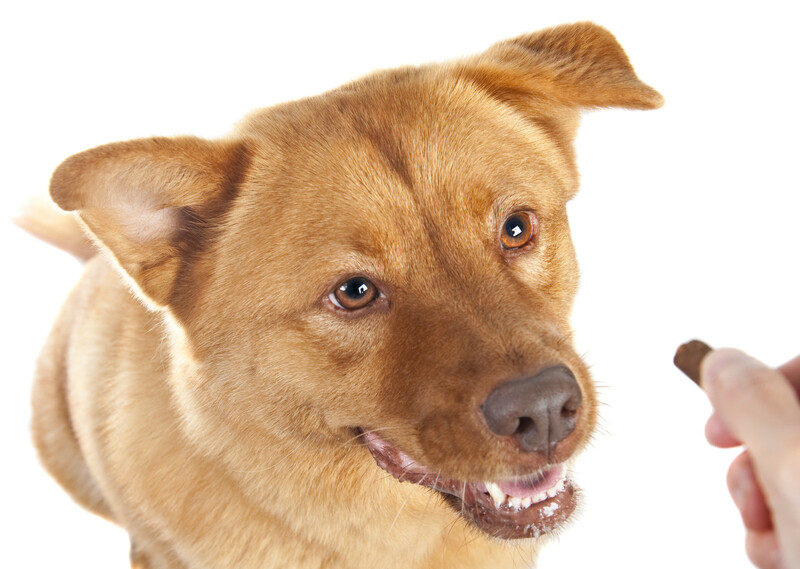 You praise your dog verbally and physically and then give it a delicious food treat. You do this for a month, praise, ‘click’ and then treat. After a month, your dog will likely become happy when you praise it even if you don’t always give it a treat. Knowing what your dog likes is the key to gaining excellent communication with your dog. 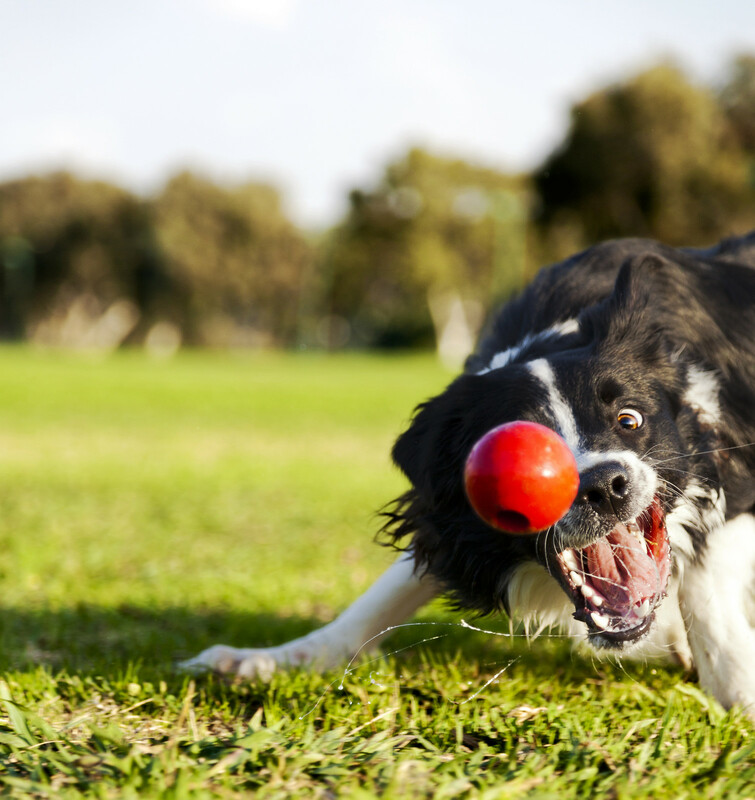 Know your dog’s joy buttons and you can train it to do whatever it is physically and mentally capable of doing. This entry was posted in Pet Care Articles & Tips and tagged DogSmith, Force Free, praise, teach, Trainer on December 27, 2012 by DogSmith. If putting a human, by nature a social being, in jail or solitary confinement is intended as punishment, then surely, isolating, chaining or tethering a dog will have the same effect on the canine soul. Dogs are domesticated, the most domesticated animal there is. 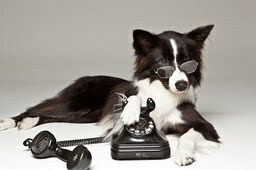 Bred by humans to be companions and work partners, we have selected and bred dogs with highly social genes. Because of this selective breeding, dogs now have personality traits that need our attention, our time and our kind benevolent leadership. If our attention and participation in their lives is missing then dogs become lonely and bored. This loneliness leads to frustration and stress that in turn leads to behavioral problems. Excessive barking, pacing, self-mutilation and other destructive behaviors are all symptoms displayed by a dog that is not having its mental and physical needs met. Dogs are not only social beings they are also very inquisitive and enjoy exploring. They need to interact with their environment and with other dogs. From these interactions, dogs benefit from the mental stimulation of new challenges, sights and sounds. If they are restricted from companions or there life is reduced to a tedious limited environment then they can suffer mental stress. For a dog, loneliness is abandonment. Many dogs find themselves reduced to a life isolated from their human pack because they lack basic behavior and social skills that are needed to live peacefully in the human environment. 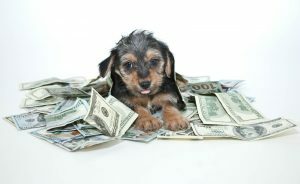 The dog enters the home as a puppy or a young dog. 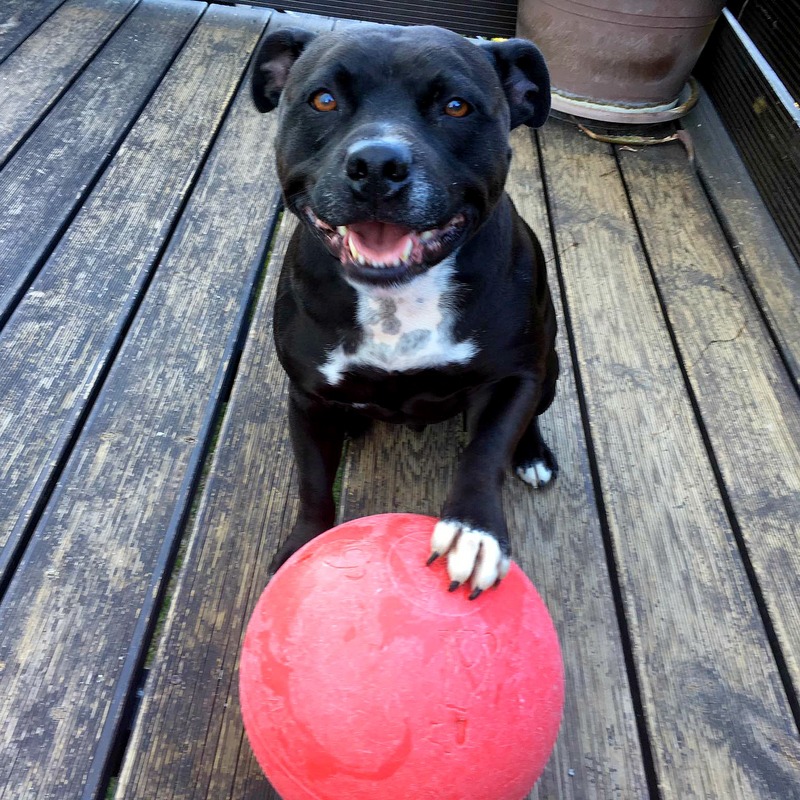 The owners are excited, the dog is a bundle of fun but no management or training plan is put in place. 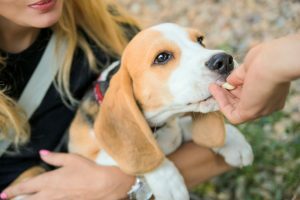 There is no housetraining plan and at the same time the dog is being handled by each of the family members differently and the wrong behaviors are being rewarded. Puppies are inadvertently encouraged to jump, pull and nip. As the puppy grows those small potty accidents become more annoying and the puppy is punished for the bad behavior rather than being shown and guided to the right behavior. Puppy romps on a leash turn into walking nightmares. As the puppy grows in size and strength it is no longer fun to run behind a small ball of fur. The leash pulling becomes annoying and dangerous to the owner and the dog. The leash walks become less frequent as nobody enjoys walking the dog and the dogs’ energy levels build. This results in an overly energetic dog with high levels of frustration and no appropriate physical outlet. A lack of daily physical exercise results in destructive and irritating behaviors. The dog is more frequently left alone and for longer periods of time. Attention seeking behaviors prevail and the dog’s behavior spirals downhill and out of control leaving the owners with an overwhelming feeling of helplessness. The dog has become an inconvenience and a chore and the owner-dog relationship breaks down. The dog will be punished and this is justified by the owner to help alleviate their own feelings of inadequacy. The owners convince themselves that they have done everything possible; their dog is dumb, stupid or both. To save the family home the dog is now reduced to living in the yard with minimal contact from its owners. The dog now engages in behaviors such as digging holes, chewing at outside furniture or attempting to escape its life of solitude. In some cases the dog’s behavior becomes such an aversive for the owners that they physically restrain the dog in a kennel run or on a tether. This is a very sad outcome for the owners and a devastating and cruel outcome for the family pet. The solutions are simple. 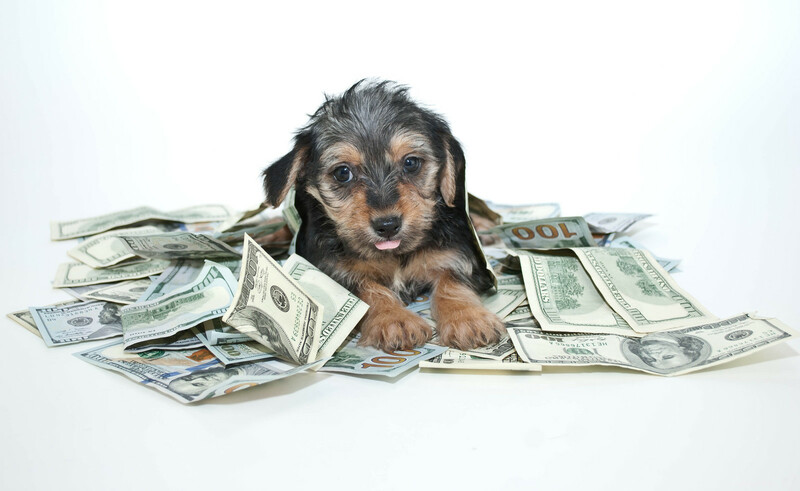 From the onset, right off the bat, invest some time and money and enroll your dog into a well run and organized puppy class. You will save hours of future frustration, eliminate damage to your home, your furniture and your yard. You, as a responsible pet owner, will teach your dog how to successfully share your home – surely that was your goal when you made the decision to being a dog into your family. A well run puppy class will teach you how to house-train your puppy, prevent problematic nipping and biting, socialize your puppy so it’s safe around other dogs and people and if you take the time you will learn the obedience basics, sit/down/stay and walk nicely. Before you spend hundreds and sometimes thousands of dollars on your pet dog and all its accompanying equipment, toys and outfits think about how you plan to train your dog. More pet dogs are euthanized due to behavior than illness. Don’t let your pet dog become another sad statistic in our animal shelters. 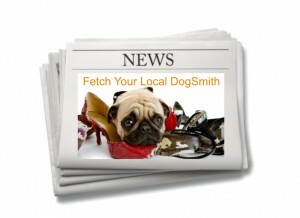 Talk to your local DogSmith, request a FREE consultation or search for a Force Free Dog Trainer. This entry was posted in Blogs To Help You Train Your Dog and tagged Chained, DogSmith, Force Free, pet dog, Puppy training, rescue, Xmas Puppy on December 20, 2011 by DogSmith. How do we define canine social behavior and what is it composed of? Social behavior is how dogs interact and form relationships with other dogs, people and other beings. 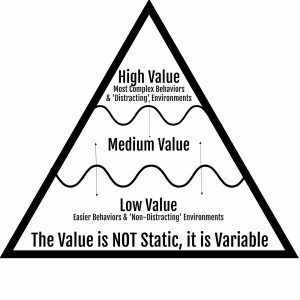 The relationships formed are shaped at each interaction as behavior dimensions are strengthened or weakened due to the situation specific contingencies. During these social interactions conditioned emotional responses are also elicited due to the history of conditioning. Distance decreasing behaviors serve the purpose of accessing social encounters. Play behavior rituals are very prominent and specific communication prompts are used to initiate play. Not all distance decreasing signals are so obvious and more subtle communication behaviors can be observed between dogs that are socially comfortable together (O’Heare 2010). There are two opposing categories under the distance increasing behavior, aggressive behaviors and appeasement behaviors. These behaviors serve the functions of fight, flight or appeasement. Dogs that are aggressive make extensive use of threat displays by making all areas of their body appear larger and rigid. With flight behaviors the dog will move away from the interaction, moving slowly and tucking themselves down low to appear small. Appeasement behaviors serve to avoid or escape hostility but do not necessarily have a distance increasing function. When displaying passive appeasement behavior the dog will place itself in a recumbent position exposing its underside. The dog may expel some urine and its ears will be back and its tail tucked as low as it can go. With passive appeasement behavior the dog will remain motionless until the threat has moved on. Active appeasement behaviors are more soliciting with the dog moving into the personal space of the dog or person, crouching ears back and their entire rear end may wag. The difference between canine flight behaviors and appeasement behaviors is that a dog in flight will disengage from the social interaction (O’Heare 2010). Not all communication behaviors are clear cut and in some instances when there is motivational conflict a dog will vacillate back and forth between displays of distance increasing behaviors and distance decreasing behaviors. The dog will display ambivalent behaviors or displacement behaviors. 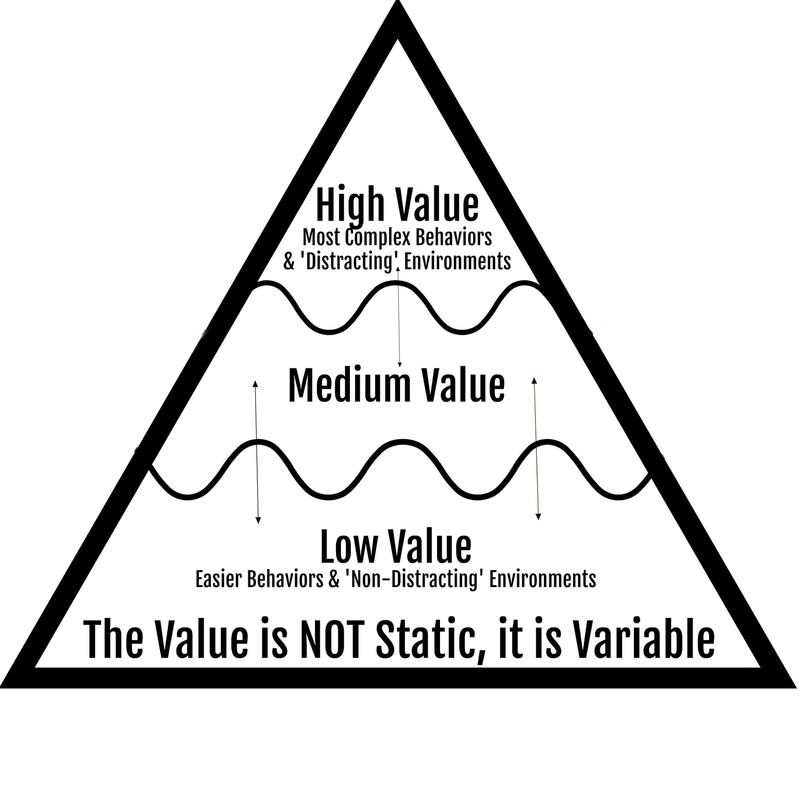 Ambivalent behaviors are mixed signals where as displacement behaviors are behaviors that appear out of context and “function to temporarily break off sensory contact” (O’Heare 2010). An understanding of canine communication is important to pet care professionals so we can reliably predict a dogs future behavior given a set of conditions and by understanding its communication we can avoid being bitten, can understand whether stimulation being applied through training is reinforcing or punishing to a dog and we can understand the relationship between environment antecedent and consequences on the dog’s behavior. If you are looking for a dog trainer or dog behavior consultant, ask them questions about their understanding of canine social behavior and stay away from anyone citing canine dominance theory, alpha slang or the need to assert yourself as the “boss”. One of the key areas of canine behavior DogSmiths are certified on is canine behavior and social communication. It is critical to being an effective and efficient fore free dog training professional. This entry was posted in Blogs To Help You Train Your Dog and tagged Dog Training, DogSmith, Force Free on October 26, 2011 by DogSmith. 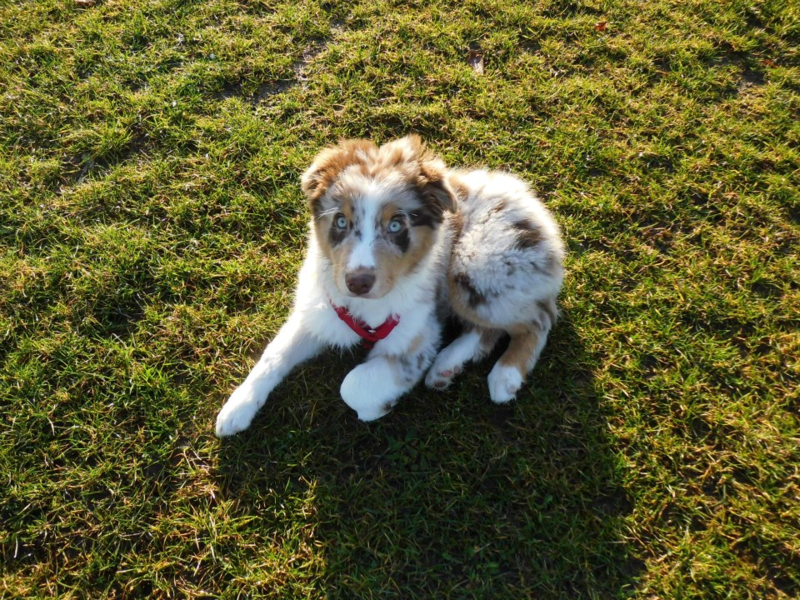 Force Free Dog Training Methods – DogSmiths go Equine! The fact that The DogSmith force-free training methods are based on the science of learning theory means they can be used on all animals. Force-free methods for training can be effectively used on species as diverse as dolphins, dogs, giraffes and even cats (and our children)! 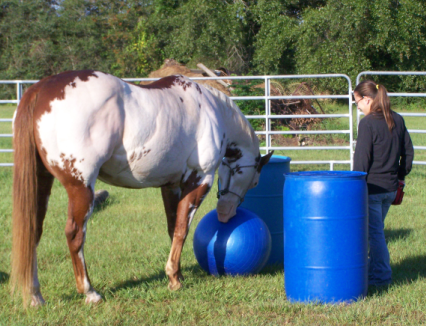 DogSmith Bethany Jordan is shown here ‘clicker’ training a horse in Treibball! This entry was posted in Blogs To Help You Train Your Dog and tagged Bethany Jordan, DogSmith, Force Free on October 25, 2011 by DogSmith.